A special open house event not to be missed! Wednesday, September 27th from 11 am to 7 pm. If you spend $400 - You will receive a Jan Marini Skin Research Hyla 3D Lips that are regularly priced at $90! This product uniquely combats visible signs of ageing to the lip and surrounding skin. Sun damage and age can diminish your body's ability to produce youthful levels of Hyaluronic Acid which leads to very visible signs of ageing. This product is great for all skin types! If you spend $250 - You will receive a Jan Marini Skin Research Bioglycolic Face Cleanser that is regularly priced at $41! This is their most popular cleanser, it offers deep cleansing in a non-irritating cream base. Your skin will be left feeling soft and extremely hydrated. "Apart from retinoids, the only other ingredient that's been shown to stimulate collagen and tighten pores is glycolic acid. As an additional immediate benefit, it removes rough dead skin cells to give skin a smoother appearance." What is Jan Marini Skin Research? Jan Marini Skin Research was founded in 1994 and they have been the world's leading skin care researcher's ever since. This innovative company focuses on providing inventive technologies to bring you the consumer amazing proven results. 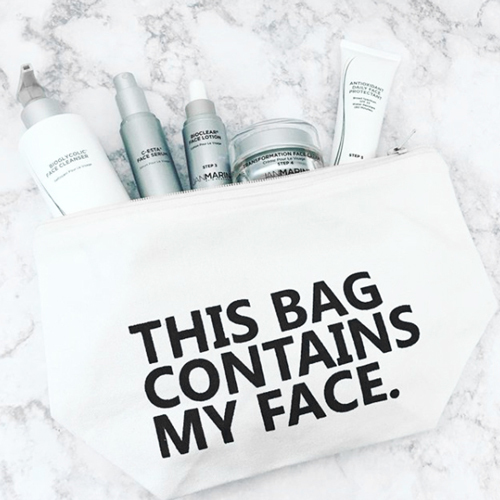 Their products will effectively treat common skincare concerns like fine lines, wrinkles, discoloration and damage, among others. Skin is encouraged to appear younger, smoother, clearer and healthier. Jan Marini Skin Research is trusted among physicians, skin care professionals, and top celebrities! Visit their website here to see amazing before and after transformations! You will not want to miss out on this event! Call 780-986-8352 for all questions and concerns.